"Although it is not possible to attempt the Tapeworm diet in most countries, it is being offered at some places in Mexico. 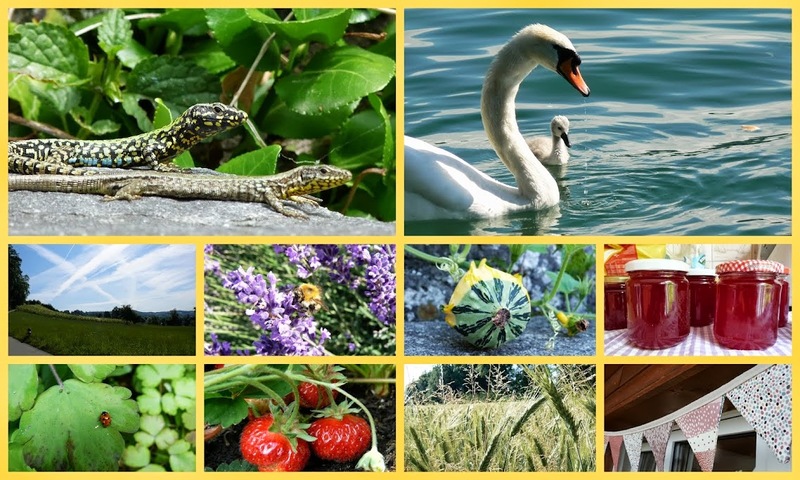 When you arrive at the treatment location you are given beef tapeworm cysts [...].The tapeworm interferes with your digestion and absorption of nutrients, which means that you can consume more calories and still lose weight. Once the target weight loss is reached, an antibiotic is given, which kills the tapeworm so it can be expelled". Leaving the ridiculousless of the statement above aside, what I don't understand is why the treatment in Mexico would set you back $1500? How expensive are tapeworm eggs on the black market these days? Now, THAT to me is the real rip-off! Even the tapeworm doctor could not convince Oprah to go on a tapeworm diet! I just feel that I have turned into a Kindle worm, having read 10 books since my last post about my 1001 books to read before I die challenge back in April. Yep, that's a whole 1% of the list in 2 months...go me! At this rate: 10% (books read before April 2010)+ 1% every 2 months = I should have finished my challenge in 2024! By then I'll have to catch up on the book published between 2006 (when the 1001 books list was compiled) and 2024...it'll be a never ending quest! 1) Fantômas by French writers Marcel Allain and Pierre Souvestre. If you like vintage-style detective story and don't mind reading books that don't have a satisfactory ending (Fantômas keeps escaping the grasp of the French police and murdering innocent people for at least another 31 books) then you should enjoy reading this! 2) The Devil and Miss Prym by Brazilian author Paulo Coelho. A book to read if you're going through a very philosophical patch in your life and want to spend your evenings pondering whether humans are good or evil. If you don't, I'll summarise the book for you: "They can be both!" 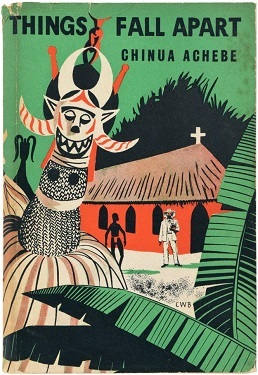 3) Things fall apart by Nigerian writer Chinua Achebe.
" 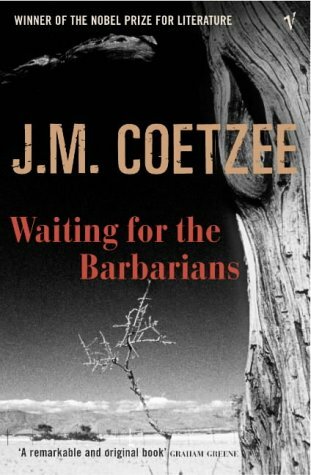 I really liked it"
4) Waiting for the Barbarians by South African writer J.M. Coetzee. Set in an unamed empire, in an unspecified location, at an unnamed time, the novel relates the tale of a magistrate who comes up against the machinery of a brutal state by attempting to help a "barbarian" girl who has been held captive and has been tortured by the regime he works for. It took me a while to get into this book but I'm glad I stuck to it as I ended up liking it. I mean, don't read it if you feel gloomy and need cheering up as it definitely isn't a book that'll make you laugh, but if you feel like reading something different and going out of your comnfort zone, then try it! 5) The House of Doctor Dee by British author Peter Ackroyd. So much could have been done with the premise. Matthew Palmer inherits an old house in London from his father, which turns out to be the house in which Doctor Dee, famed Elizabethan alchemist-scientist and rumoured parctisioner of magic, used to live. However, the characters aren't very engaging, the writing is a bit matter-of-fact and the story drags itself to its flat ending. Do come back later this week to read about the remaining five books I have crossed off The List. Have you read a book lately that you have really loved? Have you wasted many evenings going through a book someone else recommended although you still can't see what the fuss was all about? Share your likes and dislikes below by posting a comment below. Merci! I'd LOVE to hear more about your experiences in Africa!!! Past couple years ago, I really enjoyed 'Ten Thousand Splendid Suns' by an author's name I cannot recall. I am TERRIBLE at that. 'Life of Pi' was so highly recommended; when I saw it at a Brocki, I grabbed it. I was severely disappointed, and would have given it your 3rd rating. I've often thought it would be quite good to have a tapeworm - should have gine into business obviously if people are paying that much!